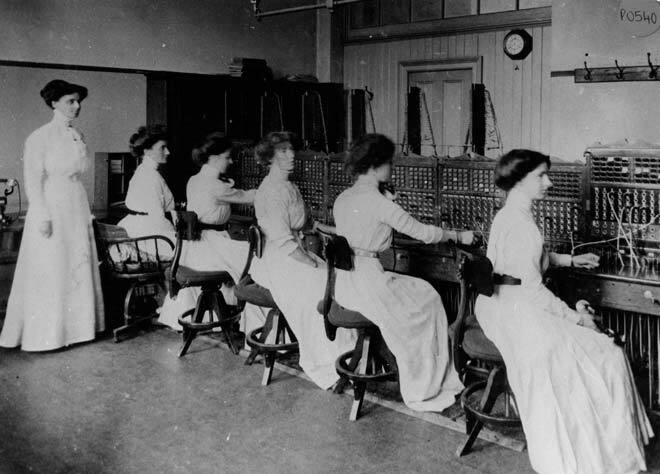 The first female telephonists were appointed in 1881. Although women were paid less than men, the work was sought after – in 1893 there were 484 applications for 79 jobs. Women who had to depend ‘on their own exertions for a living’ were favoured. There was also an element of political patronage involved – applicants with the support of their local member of Parliament were more likely to be successful.